Racism | The Intraracial Colorism Project, Inc. The Intraracial Colorism Project, Inc.
Join Dr. Culbreth and guests, Dr. Meghna Bhat and Ms. Alicia Thompson, authors and contributors to “Our Voices Our Stories: An Anthology of Writings Advancing, Celebrating, Embracing and Empowering Girls and Women of Color,” for “The Power Within, Episode 4 of the “Our Voices Our Stories Mini-Series.” This episode will focus on the empowerment of girls and women of color personally, academically and professionally. Topics will include how we can empower girls and women of color psychologically, emotionally, physically and socially. Additional discussion topics will include realizing the power within, self-esteem, self-love, self-identity, self-respect and self-pride, colorism, race, hair, body image, inner beauty, words of wisdom, self-validation, on being original, defining yourself for yourself, standards of beauty, setting high standards and expectations among other topics. The episode will also focus on how women of color can inspire, set examples and empower girls and teens of color and the development of coping strategies to deal with race, color and disparate treatment issues. Is an international thespian and writer from Jamaica. She is the founder of Artistry is Ministry (AIM) and known for customized performances of one woman shows and folklore. Alicia uses artistry to uplift and impact girls and young women to help them deal with issues such as self-image, self-worth and self-realization. She is an alumni of the Parent Leadership Training Institute (PLTI), Parents Supporting Excellence in Education (SEE), and a past recipient of the Bridgeport Parent Leadership Award. Dr. Bhat holds a Ph.D. in Criminology, Law, and Justice from the University of Illinois at Chicago with a specialization in Gender and Women Studies. She is a proud South Asian woman and first-generation immigrant from India, and her experiences growing up in India and having lived in the US for 14 years motivated her to become an outspoken advocate for gender equality. Meghna currently lives in Sacramento, CA and is an independent consultant, scholar, speaker, and volunteer. The Our Voices Our Stories Mini Series consists of five episodes presented in celebration of the publication of the National Girls and Women of Color Council, Inc.’s anthology: Our Voices Our Stories: An Anthology of Writings Advancing, Celebrating, Embracing and Empowering Girls and Women of Color and in celebration of Women’s History Month. 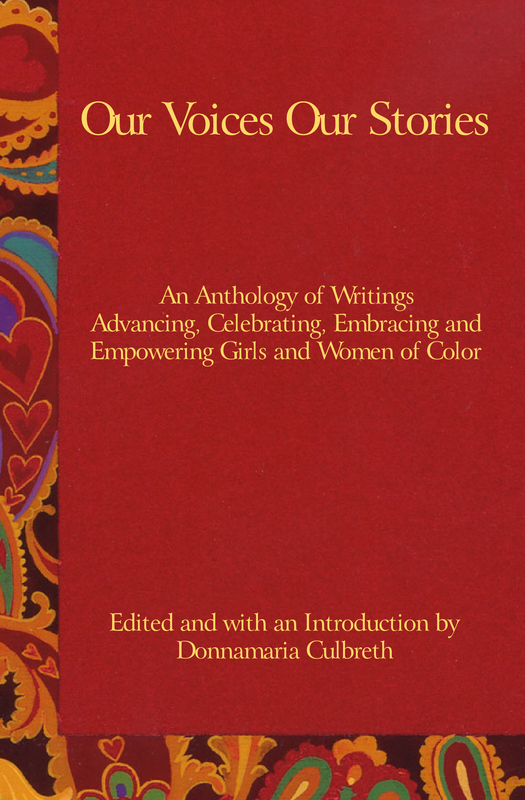 Orders for Our Voices Our Stories: An Anthology of Writings Advancing, Celebrating, Embracing and Empowering Girls and Women of Color will be accepted beginning on March 27, 2019 via the website of the National Girls and Women of Color Council, Inc. and books will be shipped in April. Join Dr Culbreth and guests, Ms. Crystal D. Mayo, Mrs. Loretta Moore and Ms Kim-Marie Walker, authors and contributors to “Our Voices Our Stories: An Anthology of Writings Advancing, Celebrating, Embracing and Empowering Girls and Women of Color.” Discussion topics will focus on how the voices of girls and women of color are celebrated through poetry, essays, plays, novels, fiction, non-fiction, short stories and other writings. Topics also include the healing power of the written word, finding your voice and yourself through writing, passion, purpose, and encouraging girls and teens to write. Ms. Mayo is a writer, actress, educator and teaching artist. She is a Native New Yorker whose literary works are rooted in the African American experience. Her memoir, “Evolution of Me” is a literary collection of snapshots that chronicle growing up in the South Bronx during the 1970’s. Her performance piece “Laugh” highlights her mother’s tumultuous journey through her diagnosis of breast cancer. Crystal hopes her readers will read her memoirs and connect to their essence, the human experience. She is the founder of My Daughter My Legacy, an arts and education company that empowers youth to explore their voice and vision through literacy and the arts. Mrs. Moore is a multi-published, African American female writer of novels, poetry, essays and short story collections. To name some published works: From A Narrow Path, The Light Of Day, The Color Of Murder, Saving Grace And Love, The Way Of Love, Bottom Tales And Others. Ghostwriting is another area as a writer she has enjoyed. Several plays she has written that have been productions are: Down The Way With Calvin And Boogie, Sharin’ The Spirit, Gossamer’s People, I Been Blest, Churchtime In New Orleans, Riding A Peacock. She hold a degree in English and has been applauded for theatrical presentations and as well for successful prose endeavors-I maintain affiliations with theatre and literary organizations. Mrs. Moore also volunteers in her community and church. Ms. Walker is an author of nonfiction and fiction works. She is an alum of VONA/Voices, Rhode Island Writers Colony, and Wildacres Writing Retreat. Her in-progress travel memoir, Truth’s Place, Part I, chronicles her 2016 solo pilgrimage to historic U.S. transatlantic slave trade ports, honoring America’s first Africans of the Middle Passage. Orders for Our Voices Our Stories: An Anthology of Writings Advancing, Celebrating, Embracing and Empowering Girls and Women of Color will be accepted beginning on March 20, 2019 via the website of the National Girls and Women of Color Council, Inc. and books will be shipped in April. “The Color of Love” will focus on the psychological, emotional, physical, and social effects of colorism on the well-being and growth of Black Brazilian girls and women. Topics include racial hierarchies in families, racial features, hair, light skin, dark skin, children, love, education, jobs, how skin color and other phenotypes affect the self-esteem, self-love, self-identity, self-pride and self-respect of girls and women, visibility, voices, Afro-Aesthetics Movement, differential treatment, and cultural practices, among other topics. Visibility’s guest is renowned researcher Dr. Elizabeth Hordge-Freeman (whose best-selling book, The Color of Love: Racial Features, Stigma, and Socialization in Black Brazilian Families was awarded the American Sociological Association Section on Emotions Book Award and the Society for the Study of Symbolic Interactionism Charles Horton Cooley Book Award. Dr. Elizabeth Hordge-Freeman is a Tampa native and Associate Professor of Sociology at the University of South Florida. She received her B.A. from Cornell University and her M.A. & Ph.D. in Sociology from Duke University. 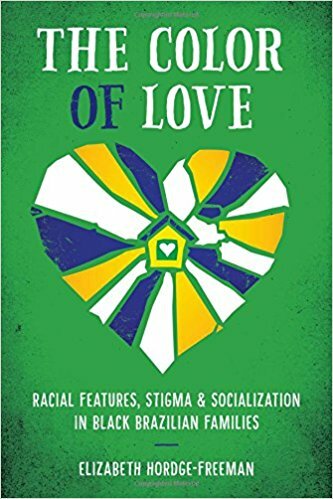 Dr. Hordge-Freeman published her first book, The Color of Love: Racial Features, Stigma, and Socialization in Black Brazilian Families (The University of Texas Press) in 2015. This book was awarded the American Sociological Association Section on Emotions Book Award and the Society for the Study of Symbolic Interactionism Charles Horton Cooley Book Award. In 2015, she presented a TEDxUSF talk on The Color of Love and her book is slated for publication into Portuguese in April 2018. 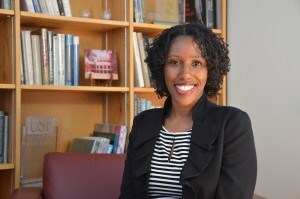 She has published journal articles in the Journal of Marriage and Family, Qualitative Research, and Ethnic & Racial Studies, several book chapters, and published a co-edited volume with Gladys Mitchell-Walthour entitled, Race and the Politics of Knowledge Production: Diaspora and Black Transnational Scholarship in the US and Brazil (Palgrave Macmillan, 2016). Hordge-Freeman has been awarded several grants and fellowships to support her research, including a Ford Dissertation Fellowship, American Sociological Association Minority Fellowship, and Ruth Landes Memorial Research Grant. In 2016, Hordge-Freeman received a Fulbright fellowship to complete data collection for a manuscript entitled, Second-Class Daughters: Informal Adoptions as Modern Slavery in Brazil, which is based on over seven years of ethnographic data and interviews.